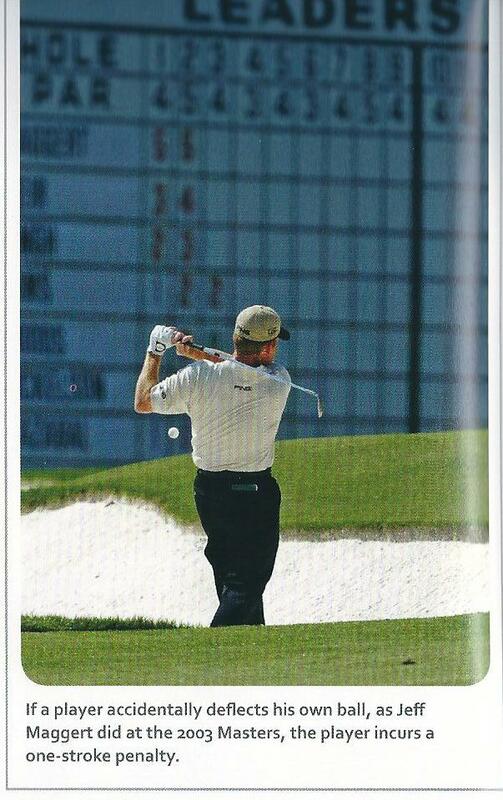 The USGA publications tend to be dry, button-down, corporate presentations that are about as much fun to read as the obituary columns in your local paper. But they stepped out of their blue blazer mode in the publication of Golf Rules Illustrated 2012-2015-The Official Illustrated Guide To the Rules of Golf. Every one who plays the game is confronted with rules conundrums whether it is from their Saturday group, an outing they are playing, or the live action they are watching during the Sunday tournament broadcast. The first person they are likely to ask is the head pro at their place and the second person is probably a single digit guy they barely know walking through the locker room. More often than not they come away more confused about the rules then when they posed the question. Sure there are on-line sources like Barry Rhodes Rules School who is probably the reigning authority outside of the USGA/R & A tandem when it comes to answering rules questions. You could check resources like our Keepers Rules Education Initiative which explains frequently asked rules incidents with on course scenarios to clarify the nuances of rules in your day-to-day game. 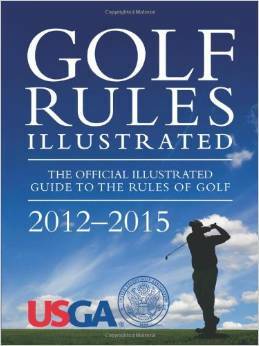 But for coherent answers to all golf rule questions you need only have a copy of the Golf Rules Illustrated book at your disposal to get meat of the matter in a hurry. The book is organized with color-coded index for each chapter that covers one the 34 rules in the game. 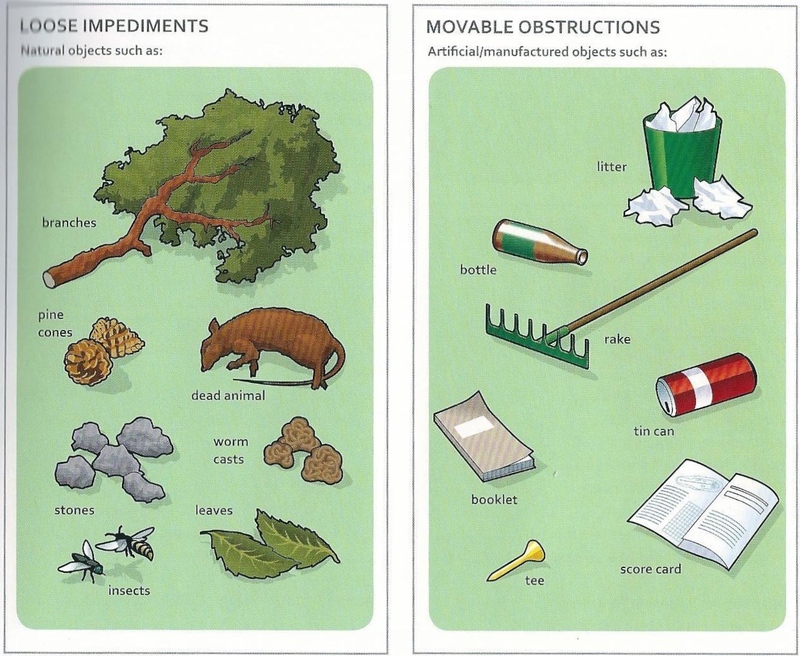 For each rule and it includes an explanation of the rule and it’s related sub-cases with a combination of easy to understand text, simple illustrations, relevant photos, and real incidents and frequently asked questions. The table of contents makes it easy to find what you are looking for and once there you will find yourself perusing the related sub-cases as well as real incidents from the tour that will bring the rules to life for you. The FAQs help to fill in the gaps so you reconcile the obvious questions that come to mind as you start to understand the rule at hand. 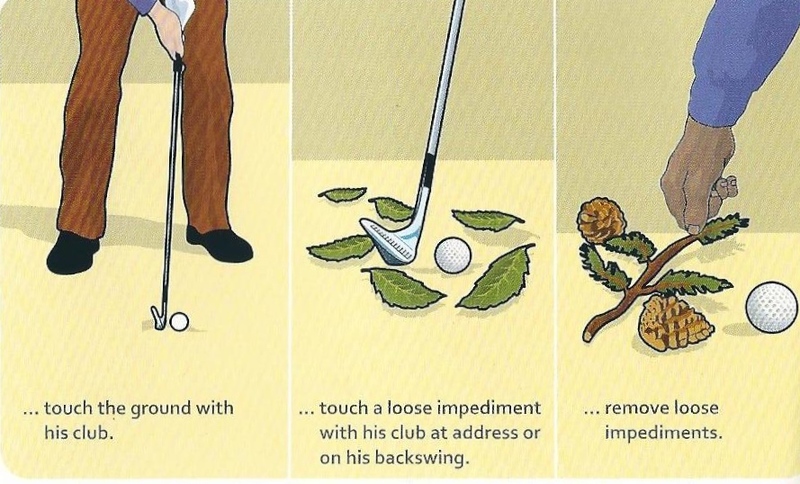 Let’s say you need to know if the pile of rabbit poop your ball landed in can be removed without penalty as Loose Impediments (Rule 23). You recall that crazy situation when Tiger got to move a boulder in Arizona, a loose impediment in his way that took an army of people to remove. Check the incident section of Rule 23 for an account of that crazy affair and the logic that supported the ruling. It then occurs to you, can you remove sand on the putting even though your ball lies off the putting surface….check the Frequently Asked Questions at the end of the chapter. Maybe you were playing with your buddies the other day and one of them hit a ball off a steep upslope that came straight up and deflected off this body. Any penalty for that? But this leads you to wonder about other incidents where a ball is stopped or deflected by hitting your opponents bag or another ball in motion. 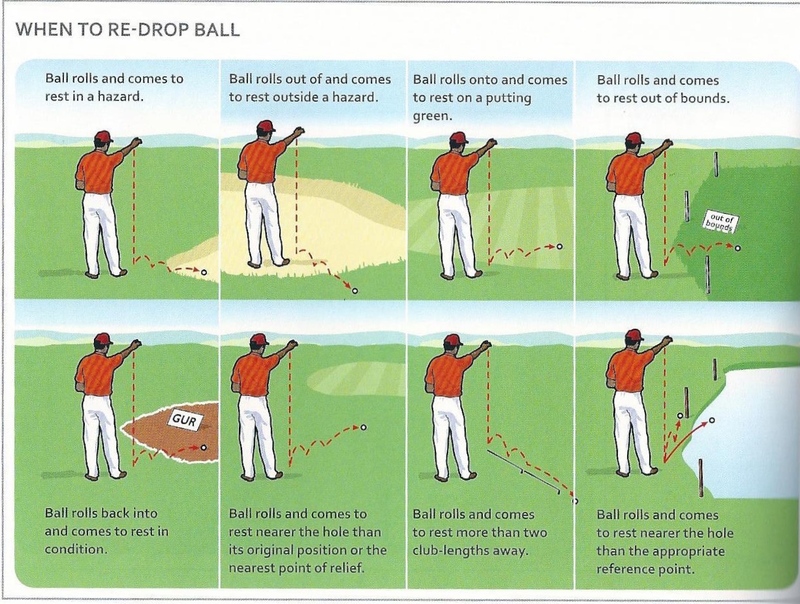 Dropping the ball whether for free relief or in implementing a penalty can lead to all kinds of variations of events. In the chapter on Rule 20-Lifting, Dropping and Placing-it clearly explains a litany of scenarios including cases when you must re-drop. Under the FAQ they address whether a player is required to mark the position of a ball he is going to drop before lifting it. This book is an invaluable reference for getting the rules right because it cuts through all the legal language to present an intelligible understanding of the rules and related issues as well as providing simple visuals to reinforce the logic of how the rules must be implemented. For about 15 bucks you can get this from any number of the on-line book purveyors. Golf Rules Illustrated should have a front row spot on your golf library shelf. The pages will become dog-eared in no time. 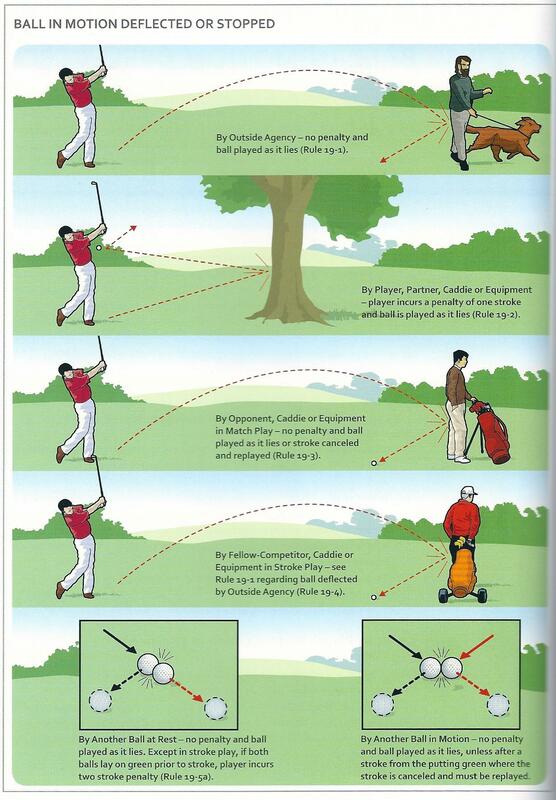 This entry was posted in Rules and Instruction by moegolf. Bookmark the permalink.